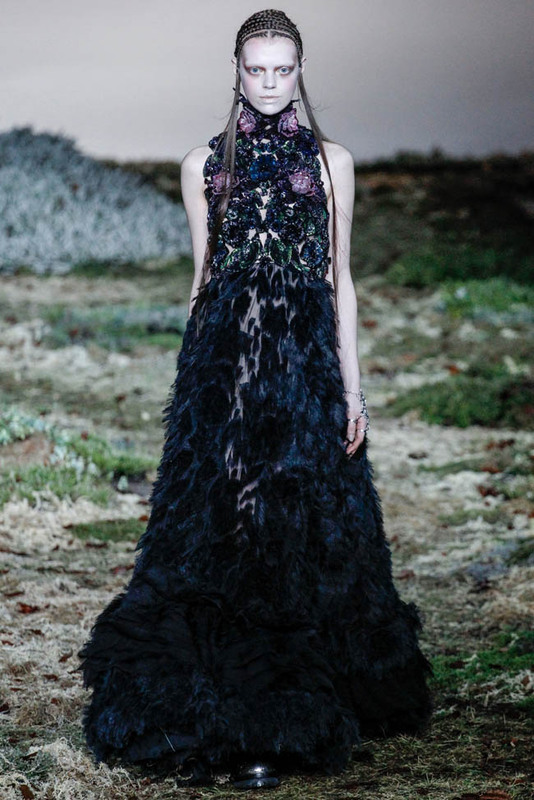 The Dark Teal: | a tribute to McQueen. Existe algo mais perfeito do que entrar no universo McQueen ao som de Björk? 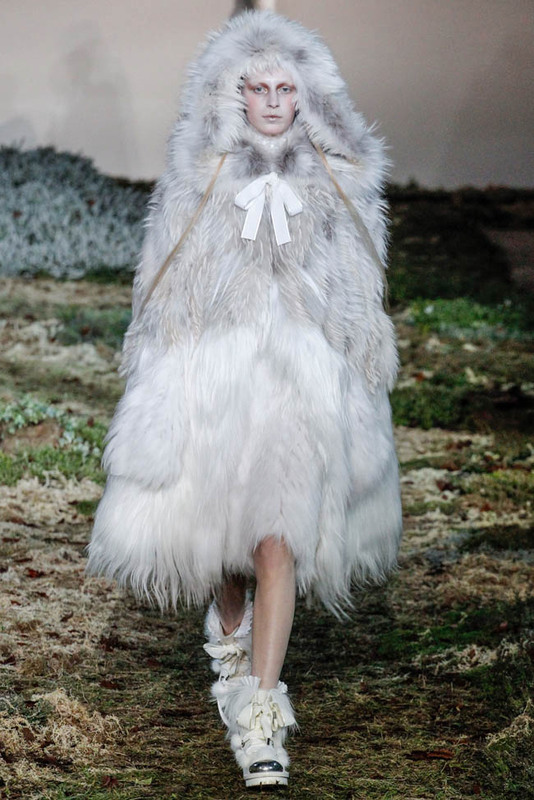 Foi assim o desfile de apresentação da nova colecção Outono|Inverno 2014 na Paris Fashion Week. O desfile foi um verdadeiro espectáculo de som, cenário e imaginação. Assim que o desfile começa entramos num imaginário surreal, repleto de criaturas fantásticas, que mistura o inocente e o grotesco numa simbiose perfeita. Looks construídos, contraste preto & branco a marcar toda a colecção, detalhes femininos, transparências e volumes. Absolutamente divinal. Absolutamente McQueen. Alexander McQueen foi, para mim, o maior génio do mundo da moda. A sua mente surreal, em conjunto com o seu génio perturbado, deram origem a verdadeiras obras de arte. É impossivel ficar indiferente às criações de McQueen. São exuberantes e únicas, por vezes bizarras, mas sempre belas. 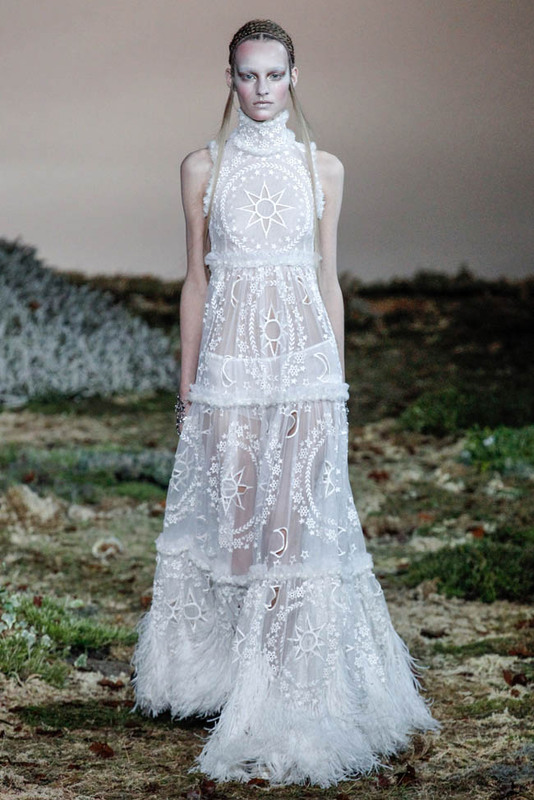 Nunca mais vamos ver a genialidade de McQueen mas é bom saber que alguém [Sarah Burton] está a dar continuidade ao seu legado, à sua visão e à sua estética. 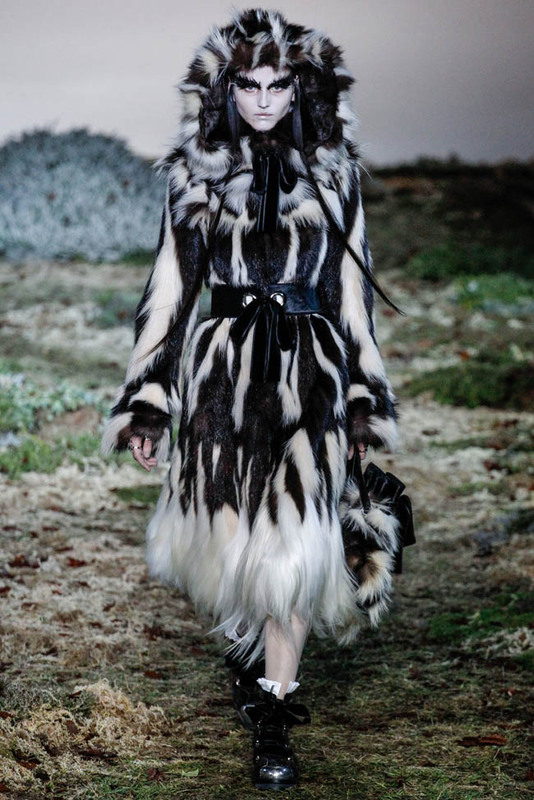 Podem ver o desfile completo no site da casa Alexander McQueen. 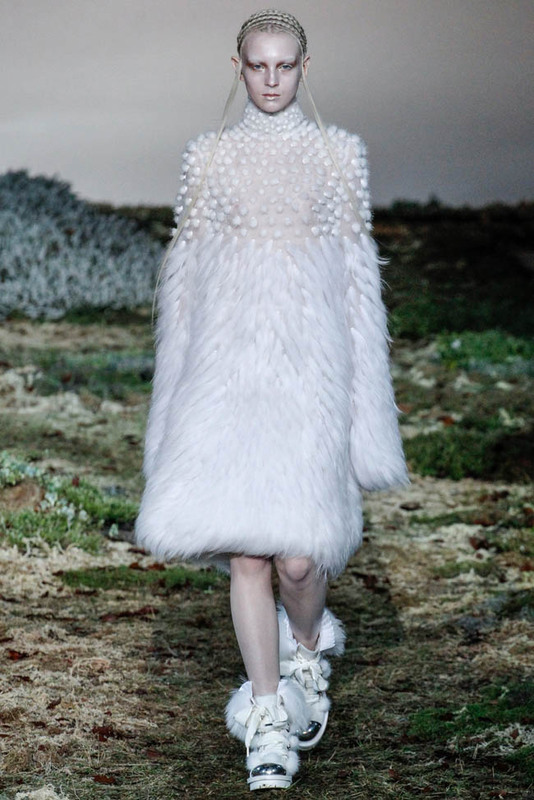 Is there anything more perfect than enter the McQueen world at the sound of Björk? 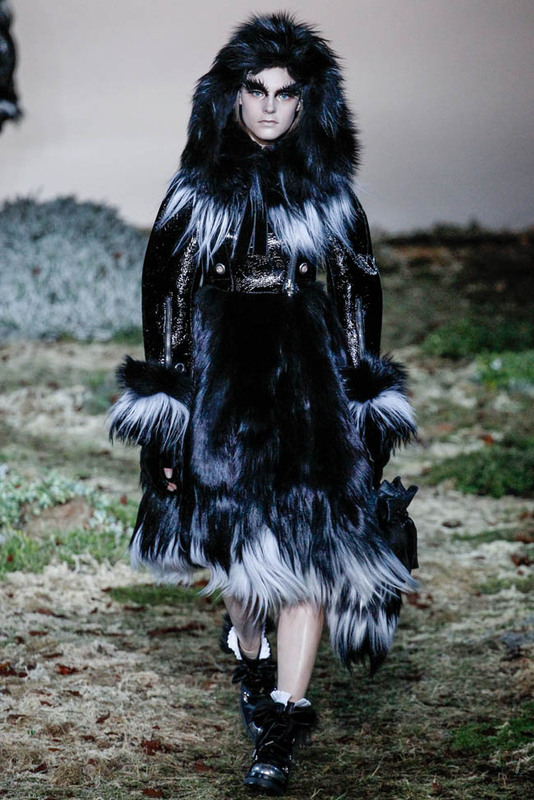 Thus was presentation's show of the new collection Fall | Winter 2014 at Paris Fashion Week. The show was a true spectacle of sound, scenery and imagination. Once the parade begins we enter in a surreal imagery, full of fantastic creatures, which mixes the innocent and the grotesque in a perfect symbiosis. Bold looks, contrast black & white as the mark of the entire collection, feminine details, transparencies and volumes. Absolutely divine. Absolutely McQueen. 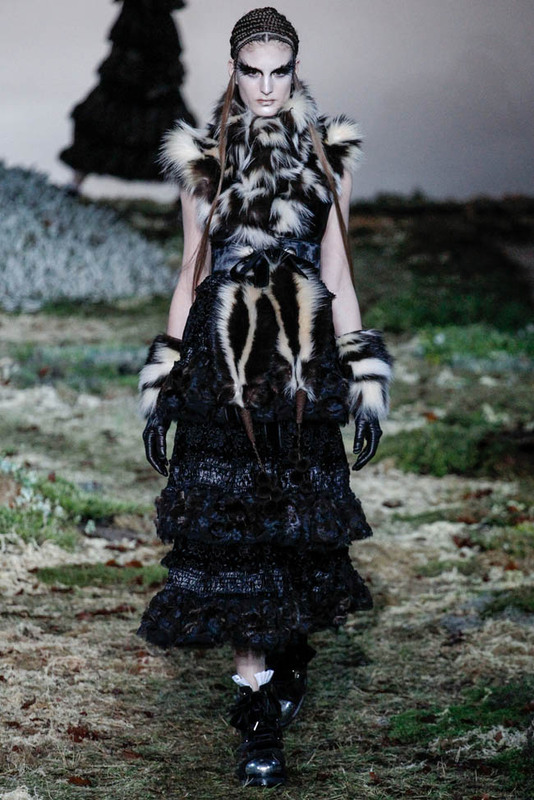 Alexander McQueen was, for me, the greatest genius in the world of fashion. His surreal mind, together with his troubled genius, gave rise to true works of art. 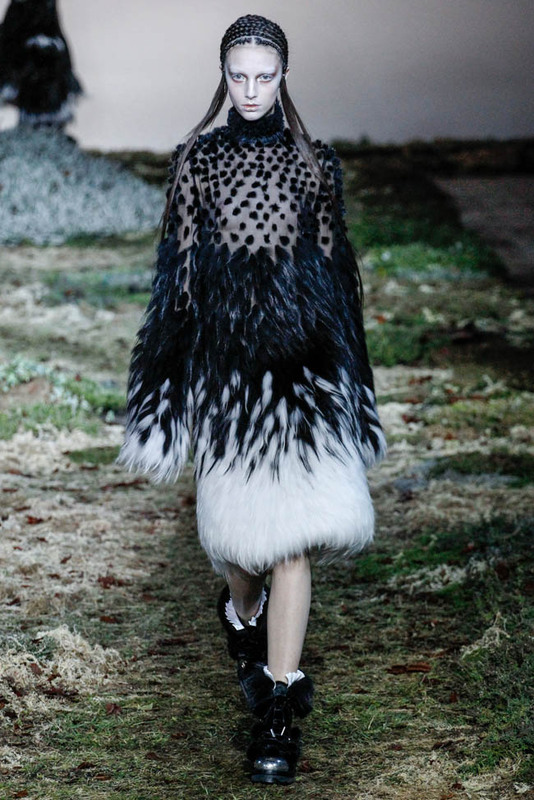 It is impossible to remain indifferent to the creations of McQueen. They are lush and unique, sometimes bizarre, but always beautiful. We will never see again his genius but it's nice to know that someone [Sarah Burton] is continuing his legacy, his vision and his aesthetic. 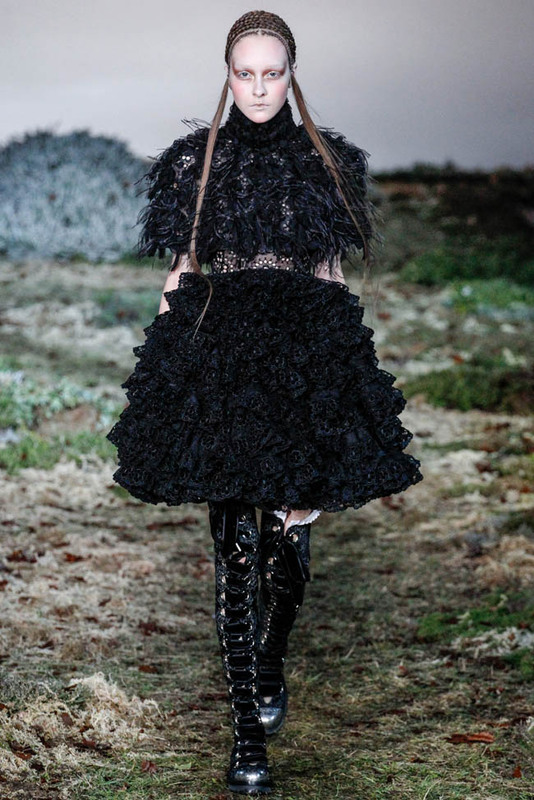 You can see the full runway show on the Alexander McQueen site.